If you’ve spent anytime researching or working with Information Architecture (IA), you have certainly come across this venn diagram. It shows that IA is at the convergence of content, context and the user. Rosenfeld and Morville referred to this as the “information ecology”. Although this diagram has been useful for many years to help show 3 important factors of good IA, it falls short in a few areas. Because of this, we need to change how we look at this diagram. First, I propose “understanding”, not Information Architecture, is at the convergence of user, content and context. Instead of being at the center, Information Architects are the unseen force arranging the meeting of these areas. 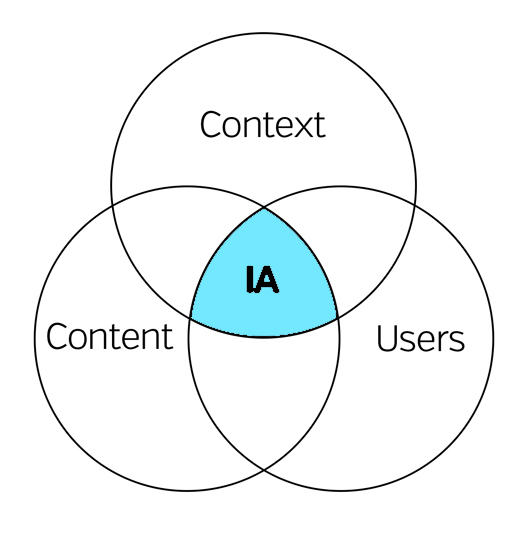 Although there are 3 areas influencing IA, all we really have control over is 1/3 of the venn diagram, the content. Context and user are predefined variables outside of our control. 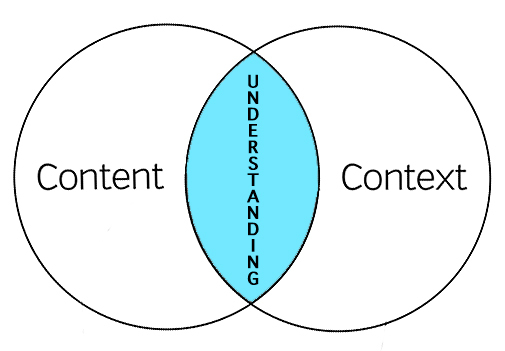 As we manipulate the content circle we increase, or decrease, the overlap of content and context and user, thus increasing, or decreasing, understanding. 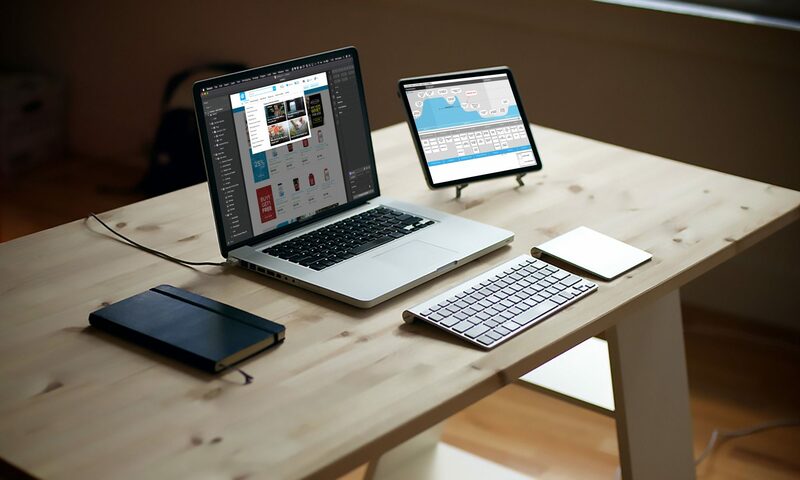 This means we need to thoroughly understand the relationship between user and context, prior to working on forming the content of our site and/or app. Secondly, I believe the definition of context is partially, if not completely, wrong. Context is not the business goals or resources. Context is actually made up of 4 basic parts: the environment, culture, psychology and physiology of the user at the time of the interaction with “stuff and things”. Or as Andrew Hinton puts it in his book, Understanding Context, context is the “where” and “who” of the user. Environment: the surrounding climate, location and artifacts where an interaction is taking place (i.e. outside, inside, summer, fall, traffic, London). The interactions our users have with our systems is different when they are stuck in traffic in a big city versus when they are at home on the couch. A users information need is different in these 2 environments. Culture: a users core belief systems established through nature and nurture (i.e. religious or political beliefs, sexual preference, gender identity, nationality). Language will have different semantics on site created for the African trophy hunters compared to GLAAD.org. Understanding your users core beliefs is key to not only serving them better, but to prevent alienating them with “harmless” syntax. Psychology: a users mindset or emotions at the time of the interaction (i.e. happy, angry, distracted, frustrated). A users mindset when sitting down to binge watch their favorite TV shows on Netflix is different than when going to their banks website to find out why their paycheck wasn’t deposited and caused their mortgage payment to bounce. The users tolerance of poor navigation or confusing interactions is different because of their psychological state. Physiology: the users actual body state (i.e. blind, deaf, left handed, tall, fat). The buttons and colors on an app designed for children may need to be designed differently than for professional sumo wrestlers. Button interactions may be more difficult for people with larger hands and will need be designed with this in mind. Blind users may need different queues instead of the normal audio queues after a button is pressed or an action took place. Because of the above definitions, I believe that the user and context circles are even more “intertwingled” than the original venn diagram illustrates – even to the point of complete overlapping. Thus, we can simplify the venn diagram to merge user and context together into one circle. In the end what you are left with is that understanding is at the intersection of context and content. Our job as information architects is to organize the meeting of content and context. The closer we move them together, the greater the understanding for the user. This new arrangement is important to understanding the role of IA in creating understanding. If we don’t know the beginning point of context, then how do we know if we should move the content circle right, left, up or down. To fully understand context, you must understand how environment, culture, psychology and physiology inform the user behavior. Mind you, this is no easy task, but critical. Because context plays such a critical role in understanding, Information Architects must wear several hats to bring about this understanding. We must be anthropologists, psychologists and content specialists. We must study human behavior within these contexts in order to inform our work. 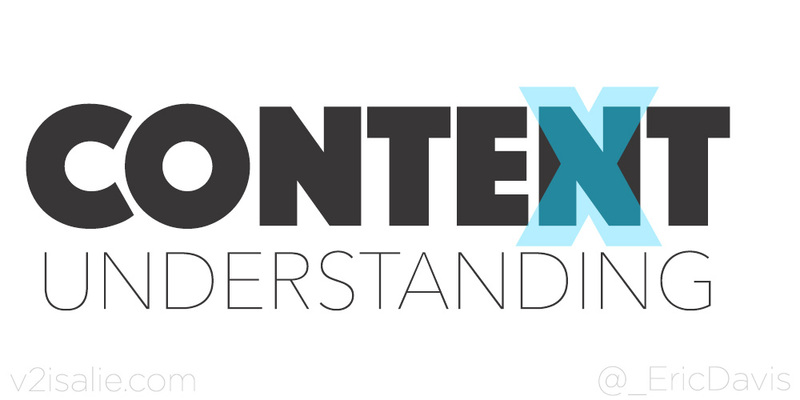 Instead of using a clichéd venn diagram to describe our work, I propose a new word: Contexnt or maybe Contenxt. Okay. I’m still working on it. Instead, below is a visual representation of this ideal. 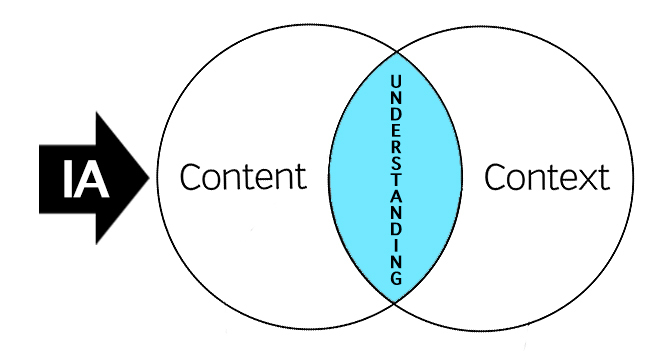 When content and context completely overlap we will bring about great understanding and great user experiences.